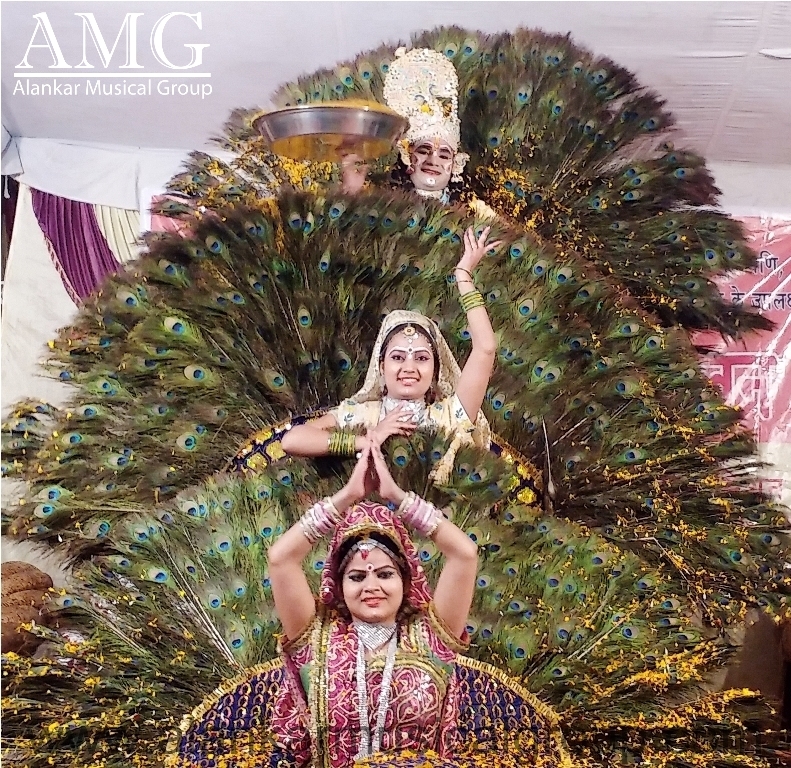 Mayur dance (Nritya) is comes from an era of love between Krishna & Radha. This dance belongs to the Braj region of Uttar Pradesh. In that Radha , pinning for Krishna after a brief separation, decides to console herself by the sight of peacocks, whose feathers, Krishna wears on his crown, at the Mor Kuti pavillion. Krishna Knowing her mind from afar, playfully causes the peacocks to disappear, leaving Radha distraught. He eventually yields to Radha’s entreaties and himself appears in the guise of a peacock to dance with his beloved.